The striker went down holding his leg as the Group J match drew to a close in Cairo, resumed after receiving treatment, and was almost immediately withdrawn. JOHANNESBURG: Liverpool star Mohamed Salah scored direct from a corner but was later injured as Egypt romped to a 4-1 Africa Cup of Nations qualifying win over eSwatini on Friday. Speaking after the match, Egypt assistant coach Hany Ramzy told BeIN Sports: "The initial diagnosis, according to the team doctor, is a strong muscle strain. It is not a tear, I think it is not serious." 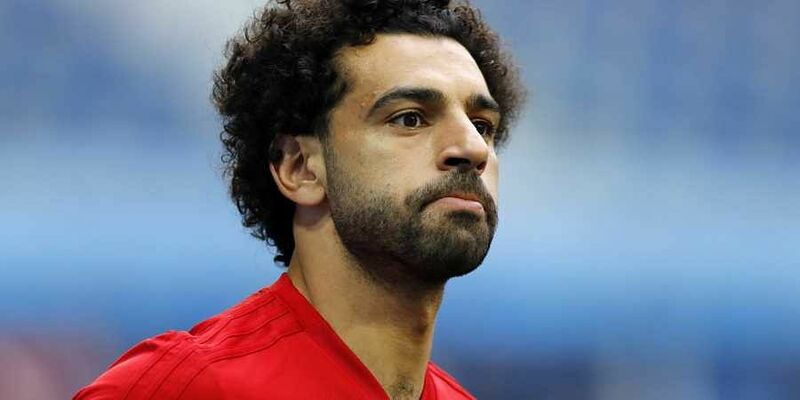 A spokesman for the team's medical department told the www.Kooora.com website: "He (Salah) had a light strain, we will do a scan as soon as possible. After scoring 44 goals in all competitions during his first season at Anfield, the striker has netted only three this term, with just one since August. Salah netted twice and missed two penalties when record seven-time African champions Egypt hammered Niger 6-0 last month in another qualifier. With eSwatini (formerly Swaziland) ranked even lower than Niger, there were expectations that Salah could get back on the goal trail at the Al Salam Stadium. He blasted a shot wide with Egypt three goals ahead before curling a corner into the net on the stroke of half-time. Jonathan Kodjia, Manchester United defender Eric Bailly, Cheick Doukoure and Maxwel Cornet scored for the Ivory Coast as they crushed the Central African Republic 4-0 in Bouake. Angola and Mauritania have six points and Burkina Faso can join them if they win at home to bottom team Botswana Saturday. An Eric Maxim Choupo-Moting goal earned Cameroon a laboured 1-0 Group B win over Malawi in Yaounde, and Dutch coach Clarence Seedorf his first success as 'Indomitable Lions' coach. Defending champions Cameroon are guaranteed a place among the 24 finalists next year as hosts, but opted to participate in the mini-league phase to gain competitive match practice. They top the group with seven points, four more than Morocco, who should narrow the gap by defeating the Comoros in Casablanca Saturday. Leaders Algeria moved three points clear of Benin in Group D thanks to a 2-0 win in Blida with Ramy Bensebaini and Baghdad Bounedjah scoring.